The commitment to quality starts now for next year. 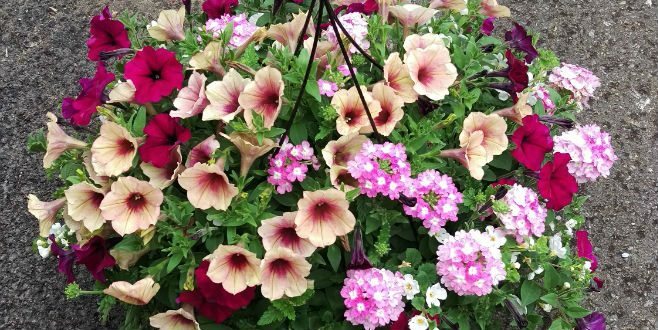 It isn’t news to anyone in the industry that the majority of revenue flows in during the peak months of the season, and that, as a whole, the dominant sales category across the board is annuals — with hanging baskets making up a large percentage of that category. What may be news, however, is that collectively we can do a better job at growing and retailing this high-volume category and increasing our profits at the same time. All too often we settle for the good ol’ plastic baskets, the “PVC” combo and the mindset that the customer won’t pay more than $19.99 for a basket because that is what mass merchants have engrained in their head as the standard price — and heaven forbid they pay more. If you’re a grower-retailer the opportunity to improve your baskets for next season is there for the taking, and it is all about the efforts you are willing to make. 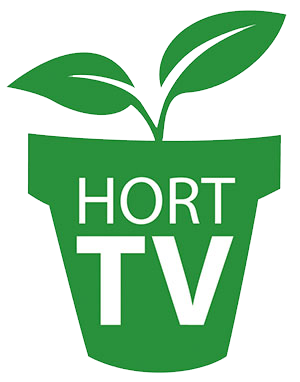 If you don’t have the facilities to grow your own, chances are you or your plant buyers know at least one or two niche growers who would be willing to take on the challenge and grow a superb crop of baskets just for you. Either way, the commitment must happen up front and now is prime time to start planning. You’re headed off to trade shows and plant trials this summer to see the latest and greatest, look for new products and place orders for next spring right? Make hanging baskets top on your list now and enjoy the payoff next season. With hanging baskets being our specialty, and our basket numbers we grow and retail having doubled each year since we started our business in 2012, we’ve compiled six of our most successful tips for you to grow and sell a better basket. I have much love for all of our suppliers in the industry and they are rock stars when it comes to delivering effective solutions for the entire industry based on price and need, but when it comes to the independent garden centers, we set the bar for quality, style and our commitment to the success of our customers. If we want hanging baskets to be seen as a premium investment we need to up our game and select a container that offers more. More what? For starters, more soil capacity. At Sunflower Acres, we grow all of our 12-inch in a Western Pulp style that holds nearly twice as much soil as the typical plastic pots delivering greater long-term value to the customer. 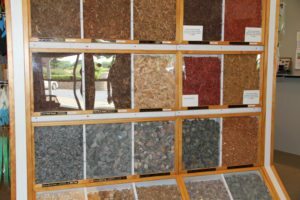 Pulp isn’t the only option — there are many more upscale styles on the market today from container manufacturers that have a greater soil capacity and more aesthetically pleasing look. The extra investment may be three times what the typical 12-inch plastic baskets cost, but trust me, you’ll get that back on the sale — and the repeat customer. As my dear friend Lloyd Traven of Peace Tree Farm has coined it, we must go beyond the “PVC: combo of petunias, verbena and calibrachoa.” If you want to differentiate your basket from the $19.99 basket found at the mass merchant, you must go beyond a straight petunia or calibrachoa basket, or mixes that are strictly PVC. That doesn’t say you can’t use those items — of course you can and should! They are a great base to start with, but there are so many other cool items that are perfect for baskets and are underutilized. Our top-selling basket combos contain a foliage accent — ipomoea or lysimachia being customer favorites. Other annuals you might want to try? Some of our favorites to use are bidens, lobelia, diascia, nemesia, geraniums and torenia (for shade). Keep in mind whatever you mix together ensure the cultivars have compatible cultural needs. We’ve all seen baskets that are beautiful when you receive them and then a week later they are nothing but scraggly, long-branched hot messes ready to fall apart at any given moment. One of the most critical, albeit daunting, steps in growing a gorgeous basket that will remain beautifully branched and fluffy all season is to pinch them — not once, not twice, but three different times during the planting and growing stages. Upon arrival of your liners and before planting into the basket, it is important to pinch the liner at every single growing point. This will create strong branching and more growing points. The second pinch is what we call the “pre-pinch.” At this stage the plants are just starting to approach the rim and it is important to tip each growing point to ensure the plants truly “mix” with each other. The last pinch is about three to four weeks before you want them to finish and be in full bloom — and this is the big one. For the final pinch you go through the entire basket and pinch every growing point on every plant in there you can find. This creates a basket that is strong, won’t fall apart and will turn into a gorgeous ball of color. At this point you are probably thinking you have put a lot of time and money into this basket — how much are you going to get for it? Surely it better be more than $19.99 — and in fact, if you’ve followed the above, and can truly excel in the next step below, those baskets will fly out the door at $39.99 and your customers won’t blink an eye. In fact, they might even fight over who gets the last one of the hottest seller! Of course the suggested retail can vary slightly based on your market and the actual cost of the finished product will vary based on your inputs; however, if you are a grower-retailer the gross margin per basket should be between 65 and 80 percent. Perhaps the hardest part isn’t actually in growing the basket itself, but putting a $39.99 price tag on it and expecting it to sell itself. A premium product like this takes a bit of education — especially if you have those “$19.99 baskets” anywhere near your store (or in our case the booth three spots down at the farmers market!). So why should they pay twice as much for this basket you grew versus the “similar” looking ones down the road for half the price? Of course if you looked at them side by side it would be a no-brainer they buy your basket, but if you can communicate the following to them not only will you have won them over, but also you’ll have a customer who trusts you because what you promised delivered. The pot you use holds twice as much soil. Thus, it holds twice as much water so they don’t have to water as often, and it has extra room to keep growing until fall versus being spent by the Fourth of July. The starts you use in your basket are from vegetative cuttings, versus seed, and are bred to be self-cleaning. No pinching and deadheading all summer. The combos are unique and offer so much more than just a petunia basket. They will thrive all summer long and become beautiful balls of color. The icing on the cake of “added value” is when each basket goes out the door we tell (and show) our customers we are putting in a scoop of fertilizer for them that will last the next few weeks. They love this because in today’s age a nice gesture like that goes a long way. The bonus? Of course they ask what it is and want to buy it so they can continue to care for their investment. Hello add-on sale. All that being said, more than the basket sale that season what you want is a loyal customer year after year. Our business has doubled each year because of our commitment to growing and retailing a better basket, ensuring the success of our customer and delivering the value they seek. Of course you know their friends and neighbors saw the baskets you grew and will likely be seeking you out now too. Another popular way to cultivate repeat customers is to seek out the position of grower for your city’s large baskets. It’s a great way to connect with the community and get your product noticed. You’ll gain a large client, and hopefully many new customers. So, this summer why not join the revolution and commit to a better basket for next spring? You’ll be glad you did. Crystal Cady has had a passion for plants for years and in 2012 opened Sunflower Acres Farm & Garden in Salem, Oregon, with her husband Josh. She can be reached at [email protected] sunfloweracresfarm.com.